This is one we've been waiting for. 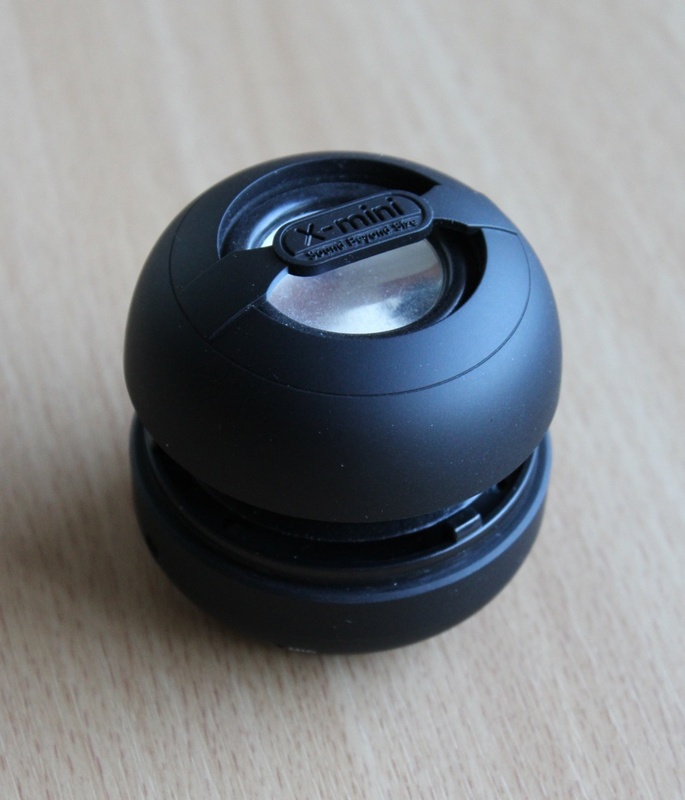 A wireless Bluetooth X-mini - the X-mini Kai Capsule Speaker. Already famous for being one of the best truly small and portable speakers for use with iPods, iPads, MP3 players or any notebooks, laptops, etc., this new and completely updated version uses Bluetooth to make the connection wireless. And not to worry if some of your equipment is without Bluetooth because the cleverly concealed jackplug connector is still wound into the base. Rather than resting in their laurels, the X-mini team have obviously decided to make the whole experience of owning this superb small speaker even more enjoyable. The presentation of the packaging is in a plastic case similar to that of an iPod and in it are included a soft carrying bag, the USB connector wire for recharging and full instructions. Once again, the unit itself has that matt smooth classy texture. So, out of the box what does it do? Well, when using Bluetooth it pairs quickly and, most importantly, it delivers an excellent sound quality, full of bass and clarity way beyond its size. We tested this new one against our older X-minis and it is noticeably even better. The bellows are slightly more extended when opened and I think anyone listening to this would imagine the sound came from a much larger unit. But the sound is not the only improvement. The new X-mini Kai now has a microphone incorporated for wireless handsfree use (good for conference calls) and also includes a multi-function switch which allows audio playback/pause, moving back and forward to previous and next tracks and, of course, the volume control. There is also a useful quick mute button - useful because the rather clever multi-function button can be confusing when you just want to turn off the sound quickly. For those that want detail here we go: it has a 40mm driver speaker which has a 2.5 watt output, frequency response of 100Hz-18KHz. The built-in lithium 5v rechargeable battery can last up to 8 hours (half that on Bluetooth playback) and charges via USB. The Bluetooth wireless range is up to 10 metres (33ft) which is pretty good. Another great thing about using the X-mini Kai wirelessly is that you can treat it as a dongle to other X-minis or suitable wired audio products; giving even more sound if needed. There is no doubt that it was time for a Bluetooth version of the X-mini and the brand would have lost out big time if they had ignored this fact. But the good news is that they have added more than Bluetooth to this speaker by including the microphone and multi-function control and also improved the sound quality which is, in the final analysis, what makes these small speakers so specifically amazing.